Tile products, for the most part, require minimal maintenance. 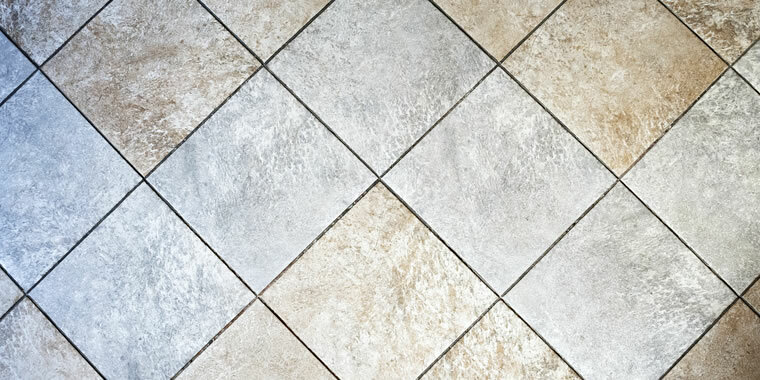 Glazed and unglazed tile, under normal residential situations, can be cleaned using clean water and a tile cleaner recommended by the manufacturer such as Resista Floor Cleaner. Always follow up with a rinse of clean water to completely remove all the cleaning solution. Regular maintenance is recommended to avoid build-up of dirt, residue, grease, soap, detergents or other external contaminants. Mix water with tile and grout cleaner per manufacturer’s instructions and apply to surface. Allow solution to sit for three to five minutes. Agitate with sponge or mop. Rinse mop and change cleaning solution at least every 500 square feet. Dry mop floor to remove moisture or pick up residue with a wet-vac. For tile with coarse or abrasive type surfaces, maintenance will need to be performed more frequently. Agitation will need to be more vigorous and water changes more frequent. Proper cleaning of these types of tile is necessary for the slip resistance value to be maintained. Grease or water accumulation may create slippery conditions. Be careful to avoid introduction of grease from dirty mops to your floor surface while cleaning.